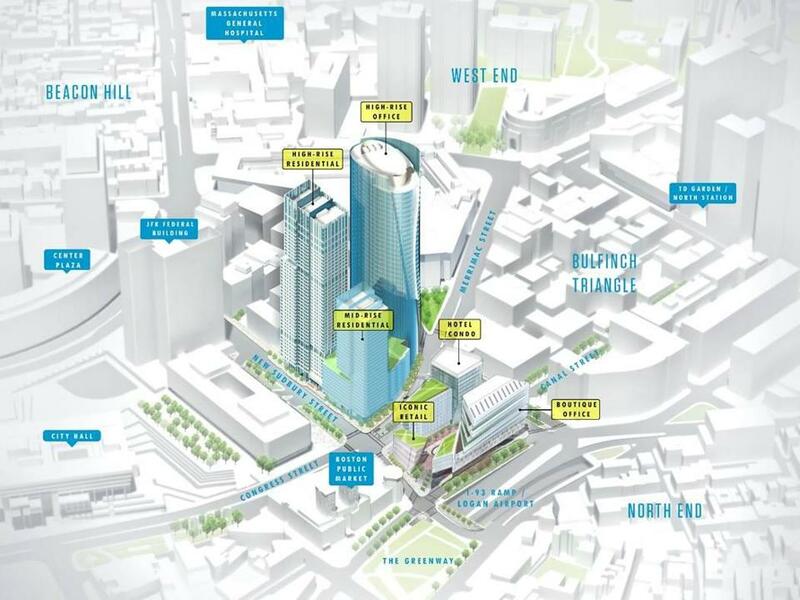 The proposed towers at the current site of the Government Center garage appear at the right of this rendering. 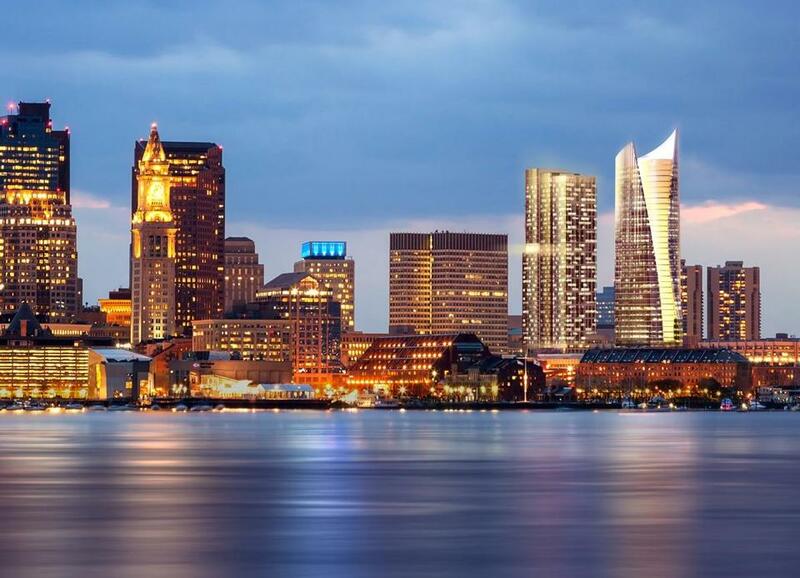 The Boston skyline could soon have two of its tallest towers where a squat concrete garage now looms. The city’s development agency Thursday night gave final approval to the two largest buildings in the $1.5 billion redevelopment of the Government Center Garage, clearing the way for work to start this spring. Down will come the beige mass that has hung over Congress Street for four decades. Up will rise a pair of sleek glass skyscrapers — one residential, one office — that at around 500 feet each would be among the tallest in the city and will extend the downtown skyline in a new direction. At the ground level developer HYM Investment Group will replace a busy bus depot that sits in the shadows of the garage with a retail plaza that will front on the Rose Kennedy Greenway. The construction will unfold in phases over the next five years or so. And when done, the whole complex — six buildings and 2.3 million square feet — would be one of the biggest developments to come out of Boston’s current building boom. Opening up that section of Congress Street and adding a large public space within the retail plaza will help reconnect some of the most historic pockets of the city. Rendering of the office tower that is part of the larger project to redevelopment the Government Center garage over Congress St. But before the project can change the fabric of a neighborhood, it has to get built. And that’s no small task — especially considering the need to accommodate hundreds of drivers who use the garage every day. HYM intends to demolish the garage in pieces, keeping some parking spaces available throughout construction. The first will start this spring, when HYM will demolish a portion of the garage along New Sudbury Street to make way for a 45-story luxury apartment tower. The span over Congress Street will stay open until work begins on the second tower, a 43-story office building at the corner of New Chardon and Merrimac streets. HYM does not plan to launch that second building until it finds tenants for at least 40 percent of its 1 million square feet. 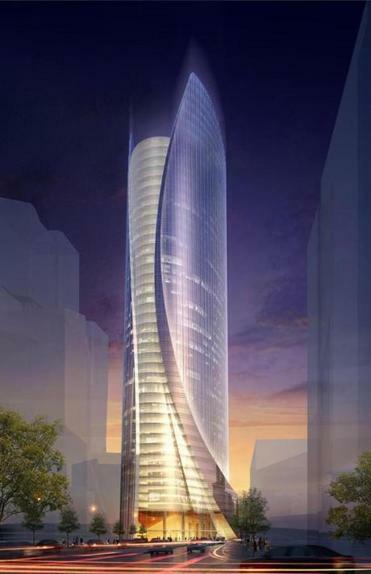 That will likely take a major tenant, O’Brien said, and now that the tower has all its permits, his brokers will hit the market looking for one. Next would come a mid-rise residential building, and then on the block between Congress and the Greenway, a complex of shorter office, retail, and hotel buildings around a new plaza. There will be some disruptions along the way. Taking down the garage will require occasional closures of Congress Street, though O’Brien said he hopes that will mostly be at night and on weekends. The entrance to the Haymarket MBTA station underneath the garage will close — though the station will remain accessible through its entrance in the Boston Public Market building. And the Haymarket bus station — a major hub for bus commuters — will need to be temporarily relocated, and then re-installed in the complex, O’Brien said. In the long run, the project will change an important corner of the city for the better, said Alex Krieger, principal at architecture firm NBBJ and a professor at Harvard’s Graduate School of Design. And it’ll trade a massive monument to the car — one that O’Brien notes is often only half full — for the ingredients of a modern city, including parking for 850 bikes. Even some fans of Boston’s oft-maligned civic buildings from the Brutalist era of architect — such as City Hall and the sprawling Government Service Center — say they understand why the garage might be better off gone. It’s a “very, very smart parking garage” and a striking building in its way, said Mark Pasnik, principal at South End-based architecture firm over,under and co-author of “Heroic,” a book on Boston’s concrete architecture. But Pasnik acknowledged the garage blocks the streetscape and severs neighborhoods in several directions.